Hi there, My name is Katrina MacDonald and I live in Montrose, Scotland with my husband, four grown up children, 4 Ragdolls and 2 horses. When my girls got older and began to look after the horses themselves I decided I would finally get a Ragdoll since I had more time to devote to them, I love having them around. I only have a few litters per year so availability is limited. 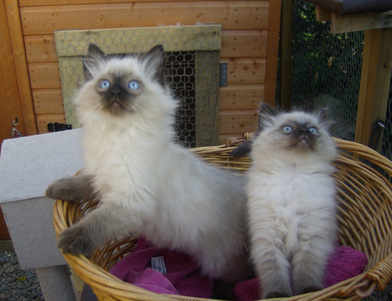 I became interested in breeding as a hobby simply because I loved having ragdolls around the house. It is a pleasure to watch the kittens progress and know they will all get loving new homes when the time is right for them to move on. My Ragdolls will always be PETS first and foremost. I am registered with The British Ragdoll Cat Club (TBRCC), ACFA(American Cat Fanciers Association) and I adhere to the Governing Council of Cat Fancy(GCCF) code of ethics. 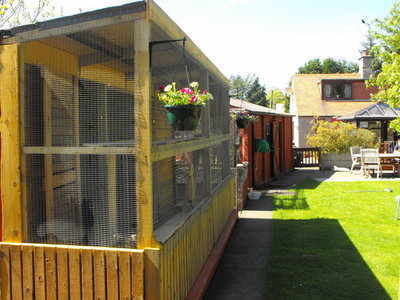 My cats are all raised indoors as part of the family and have access to large outdoor pens which keeps them safe when they want to be outside watching whats going on in the garden. Please feel free to sign my guestbook and leave your comments. 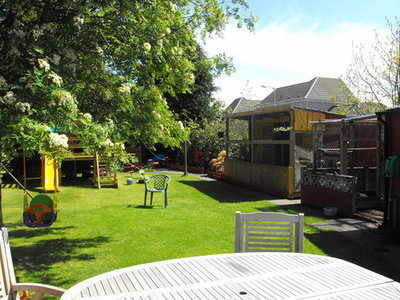 Outside Runs for the cats to enjoy sunny days and watch whats going on in the garden.